Google sacrifices very little in the smaller, less expensive version of its hot new phone. Our Pixel XL review was unambiguous: It is the best Android phone you can buy today. 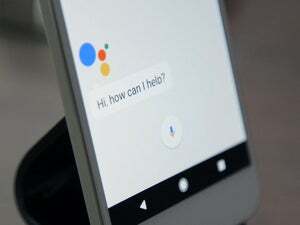 It’s combination of elegant software, buttery smooth performance, solid battery life, and a crazy-good camera are combined with months-ahead-of-others access to Android 7.1 and Google Assistant. The result is a phone that may not have everything we could ever want, but finally delivers the sort of refined and holistic experience that iPhone buyers take for granted. Evaluating the Pixel, it’s smaller sibling, is a straightforward affair. 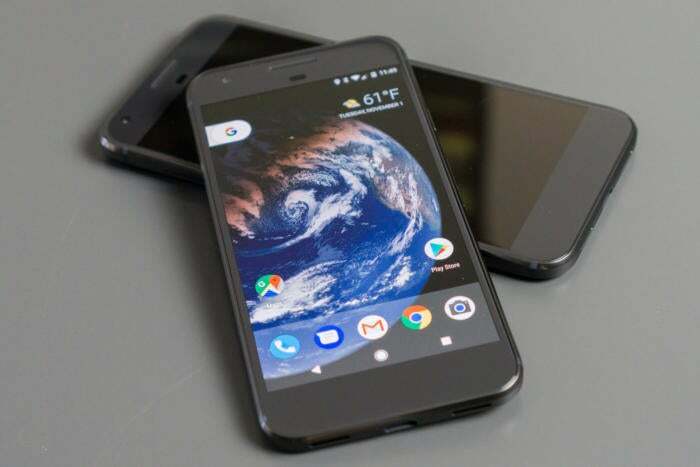 Google has made the phones nearly identical. The Pixel and Pixel XL share the same processor, RAM, software, display type, camera, and configuration options (32 or 128GB of storage). The Pixel is different in exactly three ways: It has a lower-resolution display, it has a smaller battery, and it costs $120 less. The Pixel starts at a hefty $649, while the XL breaks the bank at $769. Our review will focus on those few differences. If you want to know more about the Pixel’s performance, software features, or camera, please read our Pixel XL review. Everything we said there holds true for the Pixel. 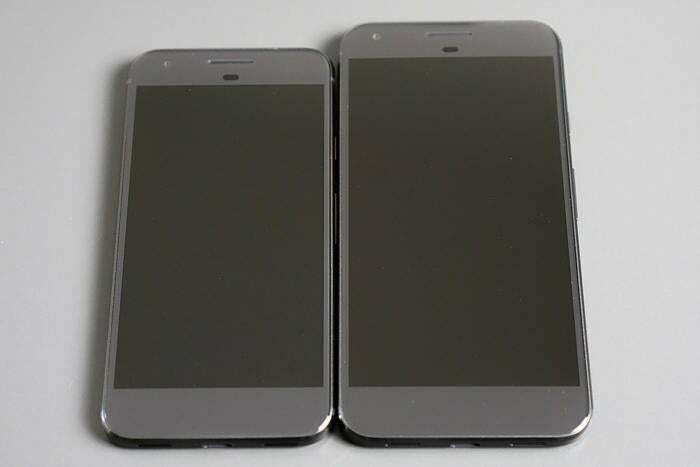 The Pixel is a 5-inch phone, while the Pixel XL is a 5.5-inch phone. Naturally, this makes it smaller, lighter, and a bit easier to hold and use with one hand. Being smaller, the display doesn’t need to be quite as high-resolution as that on the XL. The Pixel’s AMOLED display is carries a resolution of 1920 x 1080, while the XL is 2560 x 1440. That’s a pixel density of 441 pixels per inch, vs 534 for the bigger phone. The Pixel's 5-inch display is of a lower resolution than the Pixel XL's 5.5-inch display, but you won't really notice. Is this a big deal? Hardly. In fact, you’d be hard-pressed to notice the difference at all in normal use. The displays seem otherwise identical in terms of color gamut, white balance, contrast, viewing angles, and brightness. A density of 441 PPI is sharp enough that you can’t see the pixels at all, and even fine lines in Maps are razor sharp. The only place this is likely to be noticeable is when using Daydream VR. Either phone will work with the Daydream View headset, but when you strap a display right up next to your face, with fisheye lenses stretching the view out wide, resolution really matters. You will probably see more jagged edges and blurry text in VR when using the Pixel instead of the XL. The smaller body also leaves room for a smaller battery: 2770mAh in the Pixel instead of 3450 in the Pixel XL. So the XL version has a 25% bigger battery...it must last 25% longer, right? Not quite. The Pixel XL has a larger battery, which makes it last a little longer despite the larger, higher-res display. Smaller, lower-resolution displays eat up less power, so the difference in usable time isn’t quite so dramatic. In our PCMark battery benchmark, the Pixel lasted 6 hours 17 minutes, while the XL lasted 6 hours 56 minutes. That’s an 11% difference. In my daily use, I would usually see about 5.5 to six hours of screen-on time with the XL, and the smaller Pixel generally came in around half an hour below that. It wasn’t enough of a difference to change how I used my phone. On a typical day, both phones would last until I went to bed night before I had to plug them in. If I was using them more than usual, especially for more processor-intensive activities like gaming, I would have to give them a boost by plugging in for a few minutes in the afternoon. So, while there is technically a difference in battery life, it’s realistically not enough to matter. Where Apple saw fit to give its bigger iPhone 7 Plus a special dual camera system and an extra gigabyte of RAM, Google has made sure both sizes of its phones have the same capabilites. That means everything we love about the Pixel XL still holds true here. It’s got that highly responsive, buttery-smooth performance that feels even faster than the benchmark numbers (which are still quite good) would indicate. It’s first with Android 7.1, first to support Daydream VR, and comes with all those delightful touches in the custom Pixel software. Is the Pixel slower than the XL? No, it's the same—all benchmarks are within the margin of error. You get the same camera, which takes some of the best photos and videos we’ve ever seen from a smartphone, despite lacking optical image stabilization. And all your photos and videos are backed up to Google Photos, at full quality, for free. 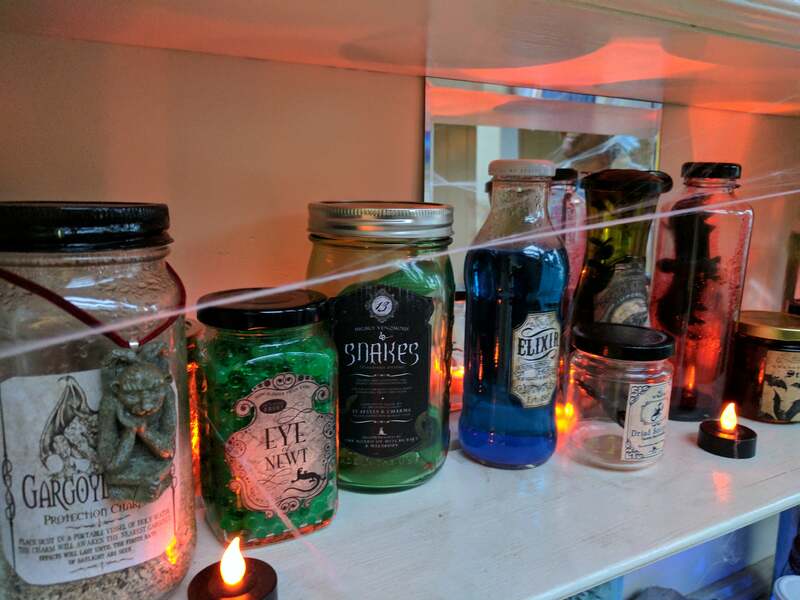 The Pixel's excellent camera came in handy during Halloween, where difficult lighting conditions are common. It also means that our list of minor gripes hasn’t changed from the XL. We still want stereo speakers, waterproofing, a Pro mode in the camera app. We want a “lift to wake” software feature added ASAP, and maybe even some sort of double-tap-to-wake for those of us that use it flat on the desk. While there are certainly areas in which we would improve the Pixel, we can’t ignore the fact that every time we use another Android phone, we don't enjoy it as much. 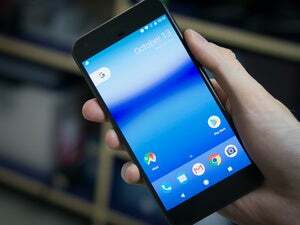 In the Pixel, as with the Pixel XL, rock-solid responsiveness meets simple-but-powerful software meets top-notch camera in a phone that is blissfully free of bloatware and bundleware, and first in line for future Android updates. Other Android phones may have a longer list of features, but are saddled with a longer list of grievances, too. This story, "Google Pixel review: Every bit as good as the XL, only smaller" was originally published by Greenbot. Every bit as good as the XL version, but with a smaller display and battery.